The NRA and Pyramyd Air are bringing AirGun shooting to the people in 2019. The Range in a Box program presented by Pyramyd Air provides temporary air gun ranges to approved clubs and organizations free of charge to facilitate basic firearm safety training and “fun shoot” types of events for people with disabilities. The traveling Range in a Box includes backstops, air guns, tripods — essentially all that participants need, except pellets and paper targets. 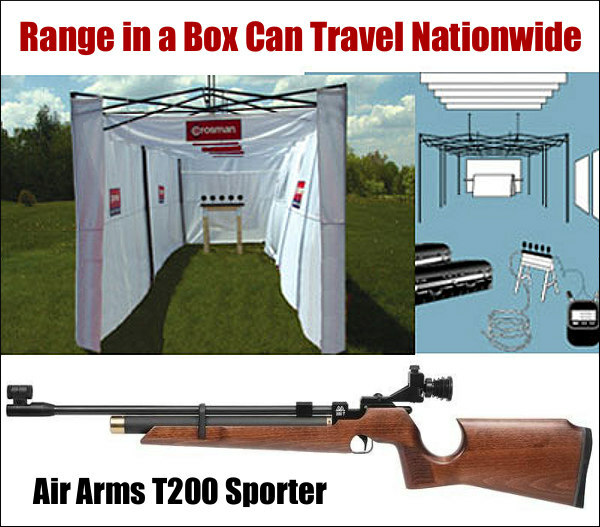 Pyramyd Air’s Range in a Box provides nearly everything needed to set up a temporary air gun range, including air rifles, air pistols, the portable range, rifle rests, and reactive targets. The key components are: seven T-200 Sporter Rifles; three Air Venturi Pistols; one large Crosman Portable Range (24 feet long by 8 feet wide; three Ultimate Tripod rifle rests from McFadden Machine Company; and various reactive target systems from Pyramyd Air. Shipping to and from the event location is also provided at no cost to the user. Consumable materials such as air and tanks, pellets, and paper targets are not included. This resource is intended for use by any organization planning an event to include people with disabilities — the most common participants being veterans’ groups, rehabilitation facilities and gun clubs. To get started, you can contact the NRA Adaptive Shooting Program at adaptiveshooting@nrahq.org or visit adaptiveshooting.nrahq.org to print the application and user agreement. Each organization may use the Range in a Box two times to establish the viability of such an event and is then encouraged to apply for grants through The NRA Foundation to purchase its own equipment. The NRA Adaptive Shooting Program strives to remove barriers that prevent interested groups from hosting more events for people with disabilities by merging the resources of industry partners such as Pyramyd Air with the commitment of the community to spread firearm safety training to a very deserving segment of the population. For more information, visit: adaptiveshooting.nrahq.org. 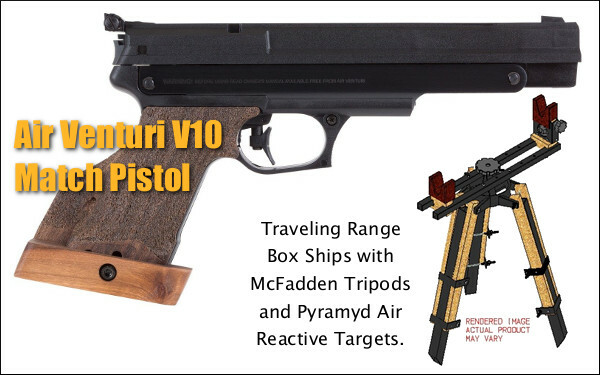 Share the post "Have AirGun, Will Travel — Pyramyd Air’s “Range in a Box”"